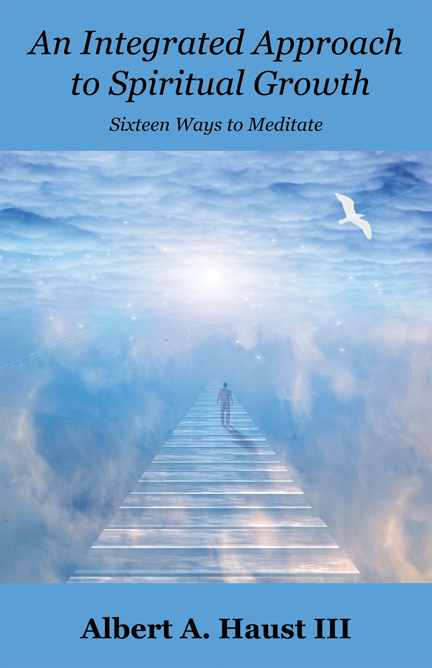 To begin, not all nondualists interpret nondual teachings in the same way. This being the case, what I say below doesn’t apply to everybody’s interpretation. It applies to the interpretation that contends that there is no positive purpose for us incarnating into this World and doing so was a mistake that needs to be negated. I agree that it isn’t our goal to keep incarnating into bodies such as human bodies for all of eternity. However, I don’t agree with the premise that we are involved with nothing more than a big mistake. Initially there was just pure being that was simply aware (for the most part I’ll refer to this being as “Source Being”). Source Being was in this state not because it wasn’t capable of anything else, but because it hadn’t gotten around to making use of its capabilities beyond being aware. Fortunately, somehow, Source Being had the ability to use its beingness to create things it could be aware of. This is truly miraculous! Source Being also had the ability to remember and learn from its experience. Therefore, Source Being was able to learn as it made use of the part of its being that made it possible for it to have something it could be aware of. Or in other words, Source Being combined its ability to create with its ability to learn. The more Source Being learned the more it was able to use its creative ability in ways that seemed worthwhile. Source Being was able to determine what is worthwhile by noticing that some modes of creation led to results that felt positive, while other modes led to results that felt negative. Source Being noticed that positive results are significantly more preferable than negative results. Why is it that some results feel positive while others don’t? That’s hard to say. Perhaps the question is partly based on a human way of thinking that requires an intellectual rational explanation that isn’t in line with what actually determines what is preferable. Just about any person is able to tell that feelings such as love, happiness and peace feel good while negative feelings such as fear and depression don’t, regardless of whether such a person has a mind that has the inclination to try to intellectually determine whether the emotion he (or she) is experiencing feels good. Not that an intellectual response is required. It is enough that the way we feel lets us know whether or not an emotion is preferable. Our ability to naturally know what does and what doesn’t feel good is so closely tied to our ability to be aware that it doesn’t make sense to think of these two factors of existence as if they are separate from each other. They are as inseparable from each other as light is from illumination. At some point Source Being decided to make it so other self-conscious beings can exist. Source Being used its own being to do so. Source Being did so partly because it became aware of the possibility that it would be preferable to have at least one other being to share its existence with. This awareness was partly based on the understanding that the love it discovered and created while experimenting with its creative aspect of being could be manifested to its full glory only if there were as least two self-conscious beings that could share this love. After determining that creating many beings was a significantly better idea than creating just one being, Source Being decided that these beings should have some autonomy, otherwise they would be just mindless slaves. Therefore, rather than downloading each of the beings it created with a program that wouldn’t allow them to be free thinking beings that could determine their own fate, it chose the most wise and loving way possible and allowed them to determine their own fate. Each of us was created with basic attributes so we would have a starting point. Depending upon the perspective from which you consider the matter, this choice didn’t lead to, at least ways not immediately, perfect results. Oh, the travails we all go through in order to find our way to perfection. Not only do we hurt ourselves, we also hurt other souls that are partaking in the very extensive learning process we go through. But what other choice is there? If free will is going to be an option, then room has to be allowed for growing pains to take place. Fortunately, our ability to discern what does and what doesn’t feel good makes it so we eventually seek a way of being that is truly preferable. Even faulty approaches that seem preferable while we are engaged with them eventually lose their appeal—and then we move onto something that feels better. Such a way of seeking can even be found on a short-term basis. For example, we might spend the night watching TV while thinking that we are feeling quite fine, and then after we stop doing so we’ll notice that we don’t feel as good as we thought. We’ll notice that we want something much deeper, very peaceful, and in line with our spirit selves. A non-spiritually minded person might seek such fulfillment by going to sleep. A spiritually minded person might meditate. Related to the above are occasions when we have insomnia and can’t fall asleep no matter how hard we try. When this is the case, nothing seems as desirable as falling asleep, even when favorite pastimes such as watching TV, listening to music or reading are considered. We just want deep peace. People who meditate might also find divine love—a wonderful feeling that goes quite well with deep peace. Because Source Being allowed us to find our way to fulfillment in our own way rather than downloading us with all of the information right from the start, we are able to develop in unique ways. This enables us to develop unique identities. Because we have such uniqueness, we are more than a faceless and unrecognizable presence of consciousness when we share love and oneness with each other. When we share love we don’t do so on a mindless basis. We aren’t slaves to a cosmic love potion that doesn’t give a damn about free will. Rather, we share love after we have made the conscious decision to be a person (Soul) who lives according to love because he has found that love is the most preferable way to exist. This applies to each of love’s wondrous attributes. For example, compassion. How wonderful it is that we are able to evolve to the point where we truly care for each other. One of the main reasons this World has so many problems is because people don’t know how to truly care for each other. Once a person knows the value of caring for others there is no way he “wouldn’t” choose such an approach on a regular basis (I say “regular basis” rather than “always” because people in this World don’t tend to be perfect). Being able to care in such a way is partly a matter of understanding how precious others are and how important it is for them to be happy. It is also a matter of understanding that nothing soothes the heart as much as being a person (Soul) who is able to care for others. If a greedy and selfish man could become aware of this fact to a sufficient extent, there is no way he would stick with his self-centered ways. Living in a place such as this World allows us to learn about the value of compassion because there are many instances when compassion is required. I don’t believe we can be a fully developed being if we haven’t learned about an attribute as amazing and important as compassion. The ability to appreciate is another ability we get to learn about while incarnated in a place such as this World. In order to completely share love with each other we have to completely appreciate each other. This requires us to open our hearts to love. The willingness to do so is partly based on the understanding of how highly preferable it is to be able to appreciate others. It is a give and receive affair. The more we open ourselves to such love, the more we understand its value, and the more we have the tendency to do so. It isn’t a matter of mindlessly being controlled by the magic of love. This is an ability that each soul develops in its own way. It’s an ability that is so meaningful, beautiful and useful that the beings who have such an ability are much more than meaningless illusions. When considering this point it is important to not forget that the ability to learn in such a way comes from no other place than Source Being. What else is there? 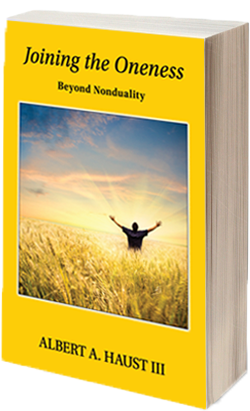 Nonduality is dualistic if it contends that there is something other than Source Being. The ability to appreciate is able to fully manifest when we allow ourselves to live according to unconditional love. If we insist on being selective about who we love and reserve our supposed right to be judgmental, it will be hard to live according to unconditional love. I don’t mean that we have to be indifferent when people do things such as harm others. However, we don’t have to be judgmental in order to have discernment. We can have compassion for the person who is harmed, and the person who hasn’t learned about love sufficiently enough to realize that the only way he’ll find true fulfillment and be free from his inner turmoil is by opening himself to the necessary ingredient of treating others in a loving way. Life in this World provides us with opportunities to learn about the value of unconditional love. The knowledge comes after we see how things work out when love is made conditional rather than unconditional. An ugly example of conditional love is when a person decides who he will love according to a person’s race. A less severe but still non-preferable example is when a man will love another person only if that other person acts in a manner that benefits the man personally. The more a person allows his love to be unconditional, the better he will feel inwardly. This factor along with the factor of wanting to love others for their own sake will inspire a person to live according to unconditional love as much as possible. People do so to varying extents because their Souls have gained sufficient wisdom to varying degrees. Humility is another attribute we get to learn about while incarnated in places such as this World. In order to fully understand what humility is about, we also need to understand about arrogance. This is so because being humble isn’t an automatic ability that happens without the assistance of wisdom. Humility manifests when we understand that self-serving importance (arrogance) doesn’t lead to a truth-based sense of self-worth. Rather, true self-worth is increasingly obtained the more we live according to qualities that benefit not only ourselves, but also others. Because it was essential for us to be provided with free will right from the start even though we initially lacked the wisdom to always use it in a way that considers the welfare of others, the creative process of the Oneness we are all a part of had no choice but to manifest in a way where some of us end up manifesting in a positive way while some of us do so in a negative way. Therefore, if we are humble about it, we’ll understand that it isn’t correct to have judgment towards those who are currently manifesting in a negative way. If fact, since manifesting in a negative way is an undesirable thing to do, it may be that those who manifest in negative way have taken on a role that couldn’t be avoided if the Oneness is going to be able to freely evolve to the positive state of being it is evolving to. Therefore, in a way, they should be applauded even though they do something that is quite negative. If this point is hard to understand, just imagine how unpleasant it would be to be a person who has a state of mind that allows him to do things that are harmful to others. Not only does such a person separate himself from that which is beautiful, he’ll eventually have to go through the process, either here or in the hereafter, of acknowledging how much he has harmed others. When a Soul goes through such a process with honesty, a Soul finds this process very painful. Regret, remorse, shame and guilt are not positive feelings to experience. It is because of an awareness of the above that some people and some spirit beings help those people and Souls that have gone astray. Such helpers understand that if a person (Soul) clearly understood the difference between a love-based approach to life as compared to a non-love-based approach, there is no way he would choose the latter. It is quite beautiful when a Soul, due to the wisdom it has acquired, switches from a negative approach to a love-based positive approach. Humility is such a beautiful quality that when we live according to it, we can feel proud of ourselves while at the same time having gratitude for what life has provided us. For example, I’m proud of the spiritual growth I have experienced partly because I made a lot of effort to grow. On the other hand, I am grateful for the assistance I have received and the positive role I get to play as the Oneness evolves towards the state of being it is seeking. Humility is mainly about loving and respecting others so much that it just doesn’t feel right to be overly assertive and overstress one’s importance. One understands that every other Soul is so divine and beautiful that it doesn’t make sense to feel special. Well…not unless one is coming from the perspective that we are all special. Being respectful is another positive quality we learn about while incarnated in places like this World. Being respectful relates to love, humility and gratitude. Through experience we find how valuable it is to be treated in a respectful way and to treat others with respect. Once we understand the value of being respectful, it is hard to lose this knowledge. As with the other positive qualities discussed in this article, our Souls gain a quality, an attribute, that is very worth having and doesn’t diminish our ability to be fully aware beings. The same can be said of qualities such as honesty, loyalty and integrity. Who in their right minds wouldn’t want to live according to such qualities? When one lives according to such qualities, one sees how marvelous existence can be. When such is the case, there is no need to negate our uniqueness. Honesty, loyalty, integrity, respectfulness, humility, love and awareness work quite fine with each other. Life shows that people often need a good deal of time before they are able to embrace such qualities and live according to them. We also learn to use our creative aspect of being to create things we find enjoyable such as art and music. Sure, inner contentment is a good thing to have, but this doesn’t mean that we can’t enjoy the beautiful things our creative aspect of being is able to bring into existence. I’ve found that I can enjoy beautiful music or beautiful scenery more completely when I have a peaceful state of mind, rather than a grasping and/or perturbed state of mind. I believe this shows that manifested existence isn’t the enemy. Rather, it is a matter of using our minds and creative ability in a wise, loving and harmonious way. Perhaps you can think of additional reasons for which it is useful for our Souls to go through their evolutionary process. If your experience is anything like mine, the more you try find reasons for why it is highly preferable to be more than just pure awareness, the more you’ll realize that the process of creation is much more than an illusion-based mistake. Enjoy your explorations!